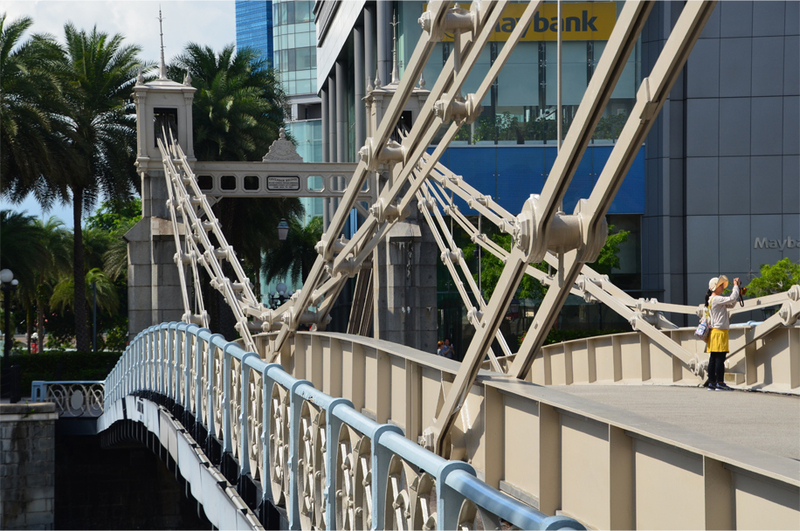 Before the ‘Lion City’ evolved into a global financial centre, the humble Singapore River was its lifeblood. Today it is bereft of the bumboats that once clogged its waters, ferrying goods between warehouses and larger vessels anchored offshore. Echoes of that storied past exist only in the sculptures of naked boys plunging into the river, Indian and Chinese coolies loading sacks onto a bullock cart, and other bronzes scattered along the waterway. 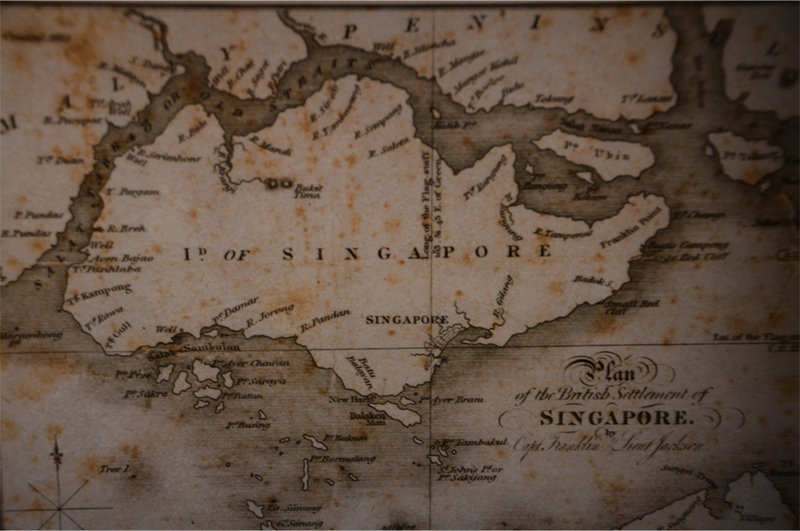 Raffles was indeed the founding father of modern Singapore, but it would be wrong to assume that pre-1819 Singapore had always been an “obscure fishing village”. Roughly 500 years before Raffles’ arrival, it was already a trading centre and the fortified capital of a Malay kingdom, founded by a prince from Sumatra. Historians suggest that this prince, Sang Nila Utama, was among a diaspora of royals and noblemen fleeing the former empire of Srivijaya. The Javanese kingdom of Singhasari had sacked the once-proud cities of Jambi and Palembang, and Srivijaya was now in a state of perpetual decline. 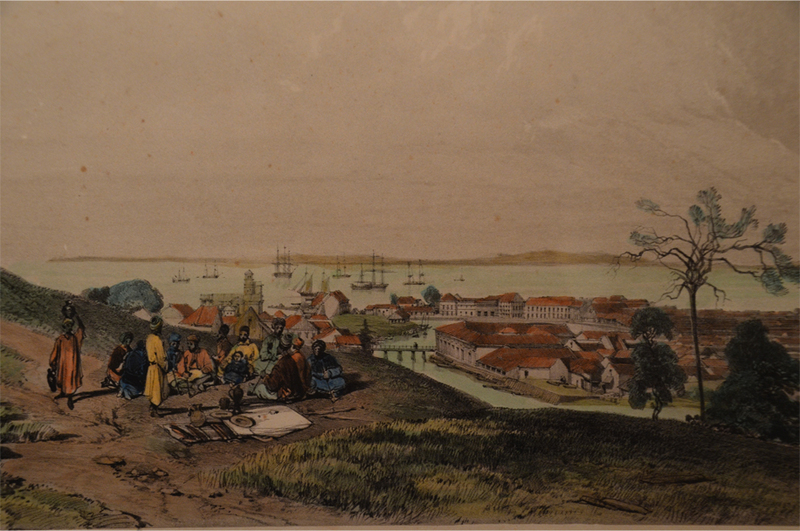 The Malay Annals, or Sejarah Melayu, record that the prince’s family had left Palembang in search of new places to settle. When the royal party reached the Riau Islands, the widowed Queen of Bintan accepted Sang Nila Utama as her daughter’s husband, and his grandfather Damang Lebar Daun also settled in Bintan. Then Sang Nila Utama reached a stone of great height and size, on which he mounted and viewed the opposite shore, with its sands white as cotton; and enquiring what sands were these which he saw, Indra B’hupala informed him they were the sands of the extensive country of Tamasak. The prince immediately proposed to visit them, and the minister agreeing, they went immediately on shipboard. But as they were passing over, they were caught in a severe storm, and the vessels began to leak, and the crews were unable, after repeated exertions, to throw out the water. They were accordingly compelled to throw overboard the greater part of the baggage in the vessel, which however reached the bay. The water nevertheless continued to gain ground, and everything was thrown overboard till nothing now remained but the diadem. Then the master addressed the Prince Sang Nila Utama, stating, that the vessel could not support the weight of the diadem; and that if it was not thrown overboard, the vessel could not be relieved. The prince ordered the diadem to be thrown overboard, when the storm ceased and the vessel rose in the water, and the rowers pulled her ashore, and Sang Nila Utama with his attendants, immediately landed on the sands, and went to amuse themselves on the plain near the mouth of the river Tamasak. There they saw an animal extremely swift and beautiful, its body of a red colour, its head black and its breast white, extremely agile, and of great strength, and its size a little larger than a he-goat. When it saw a great many people, it went towards the inland and disappeared. Sang Nila Utama enquired what animal was this, but none could tell him, till he enquired of Damang Lebar Dawn, who informed him that in the histories of ancient time, the singha or lion was described in the same manner as this animal appeared. This is a fine place which contains so fierce and powerful an animal. Then Sang Nila Utama directed Indra B’hupala to go and inform his mother-in-law that he should not return; but that if she loved him she should send him people, elephants, and horses, to enable him to form a settlement in the country of Tamasak. Sang Nila Utama took his encounter with the mysterious beast of Temasek as a good omen, naming his new kingdom Singapura from the Sanskrit words “Singha” (Lion) and “Pura” (City). 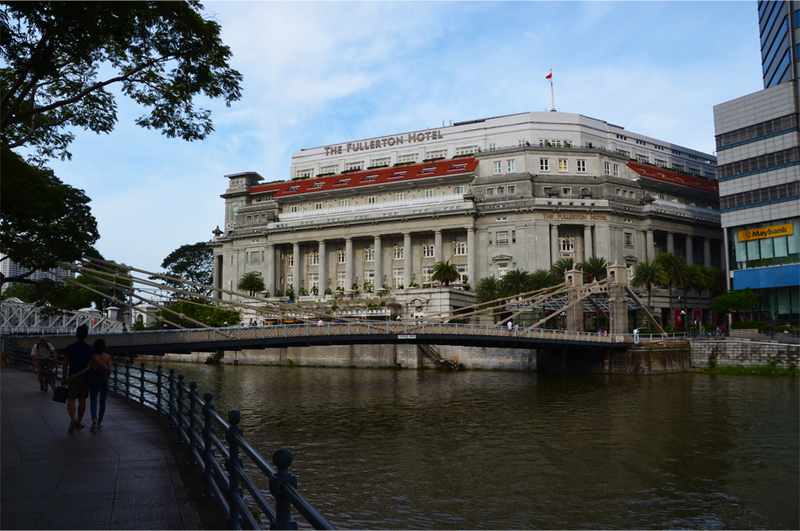 He founded a settlement at the mouth of the Singapore River, near a hill with a freshwater spring. 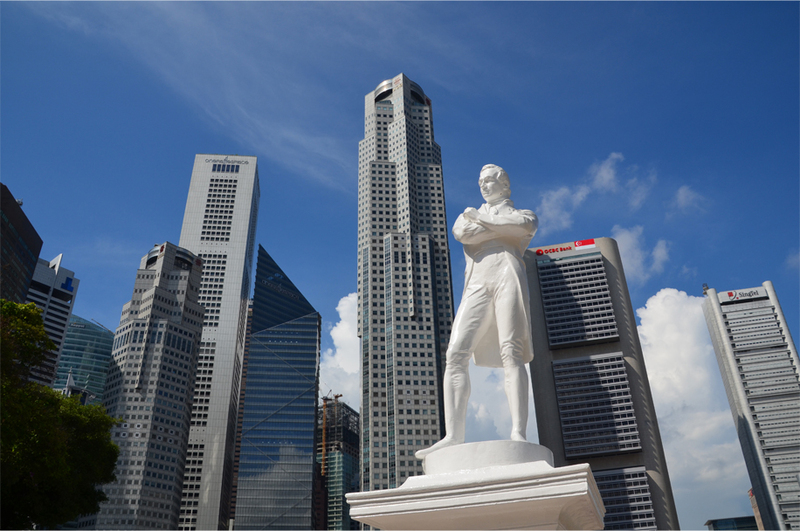 Sang Nila Utama’s rule ushered in a century of prosperity while Singapura rose to prominence as a regional centre of trade. But its strategic location and wealth attracted the jealousy of other kingdoms. In 1398 the Javanese empire of Majapahit launched an invasion force of 300 junks and 200,000 men, sacking the city and slaughtering its defenders. Sri Iskandar Shah, the last king of Singapura, fled up the west coast of the Malay Peninsula, and within a few years he would establish a new base at the mouth of the Bertram River – Malacca. Singapura slipped back into obscurity, but those who dwelled on the island remembered aspects of its legendary past. The hill where the Malay kings of Singapura built their palace was known as Bukit Larangan, ‘Forbidden Hill’, and was reputed to be their sacred burial place. When the overgrown hill was cleared after the British took possession, a tomb was discovered on its slopes, and locals believed it to be that of Sri Iskandar Shah. 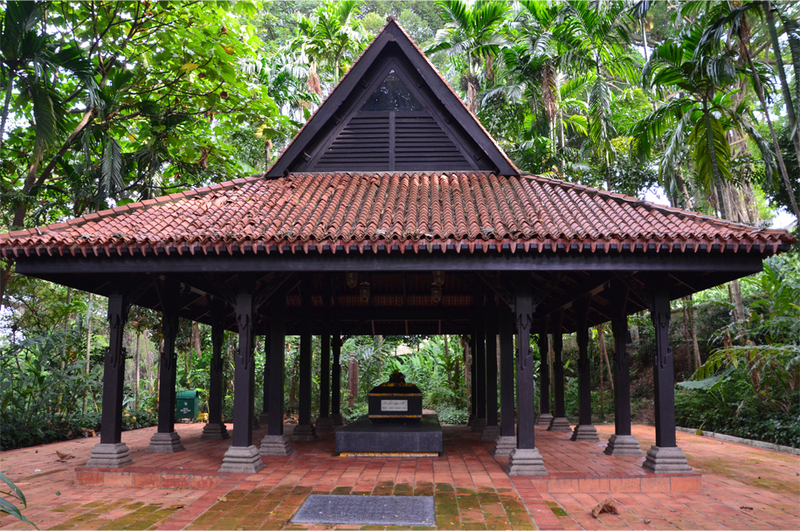 Singapura’s first king, Sang Nila Utama, and his grandfather Damang Lebar Daun are also said to be buried on the hill, though their graves have never been found. In June 1819 another mystery was brought to light. 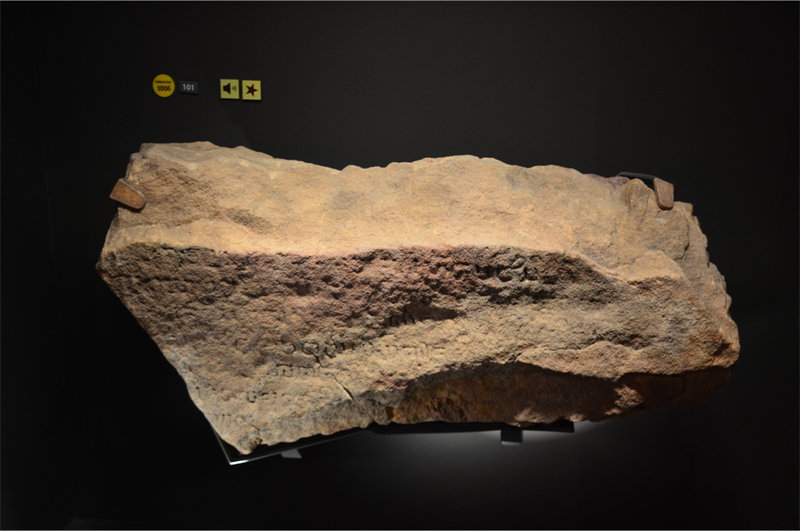 A sandstone slab, three metres high and three metres wide, was found at the narrow mouth of the Singapore River. It bore up to 52 lines of indecipherable ancient script, presumably in Sanskrit or old Javanese. But the monolith was hopelessly destroyed before scholars could reveal its secrets. The British had it dynamited in 1843 to widen the river mouth for navigation and make way for Fort Fullerton, where the namesake hotel stands today. The sole surviving fragment (known as the Singapore Stone) is housed in the National Museum at the foot of the sacred hill; two other pieces were sent to the Royal Asiatic Society’s museum in Calcutta, but their whereabouts are unknown. Btw, it’s a comprehensive post about Singapore. I’ve read many times it, but it’s my first time to know about the mysterious Singapore Stone. I tried to zoom in the picture, and yes I read a dime-inscription on it. Fascinating. Most people seem to visit Singapore to eat, shop and maybe visit its theme parks. Of course there is nothing wrong with that, but I feel like the city’s history is under-appreciated. I had no idea of the Singapore Stone until shortly before I went! Fascinating – loved this history. I’ve been to Singapore several times but never to Canning Hill. Definitely must, if I stop by again. 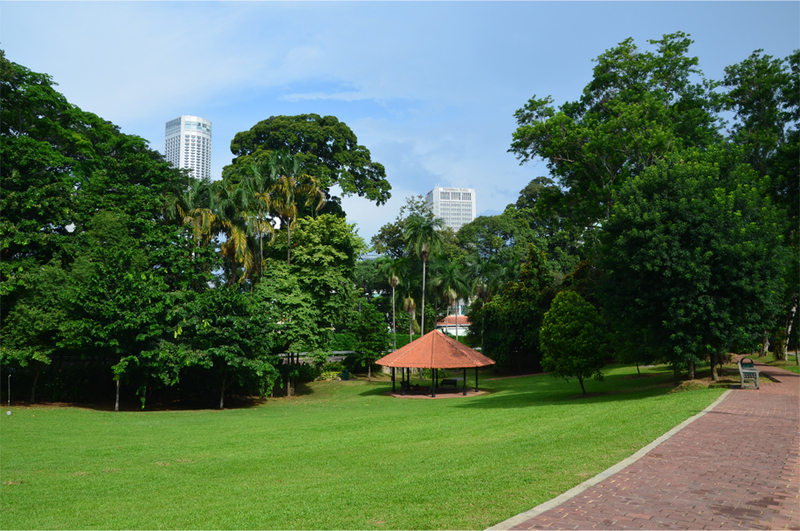 Fort Canning Hill is gorgeous – it was virtually empty the day I went! The hill is just dripping with history and it’s even better after a few hours in the National Museum. Hi James, would you like to continue your discovery from here? Palembang Prince Parameswara fled Javanese enemy, escape to Temasik, to Muar & finally founded Melaka (Malacca). The island Pulau Nangka rumoured to be a Treasure Island (gold bars, royal throne & etc…) hidden in the cave. Do you know the story? The Chief Minister approved excavation – not sure the outcome. Also, Kedah – Buddhist ancient site discovered (about 2000 yrs). Would like to hear your side of the story. Thanks. Hi Rachel, I didn’t know of the reputed treasure on Pulau Nangka – that story and the founding of Melaka is clearly worth another post! Afraid to say that I haven’t been there yet, or Bujang Valley in Kedah, so I’ll have to put those two places on my wish list. Thanks for drawing them to my attention. 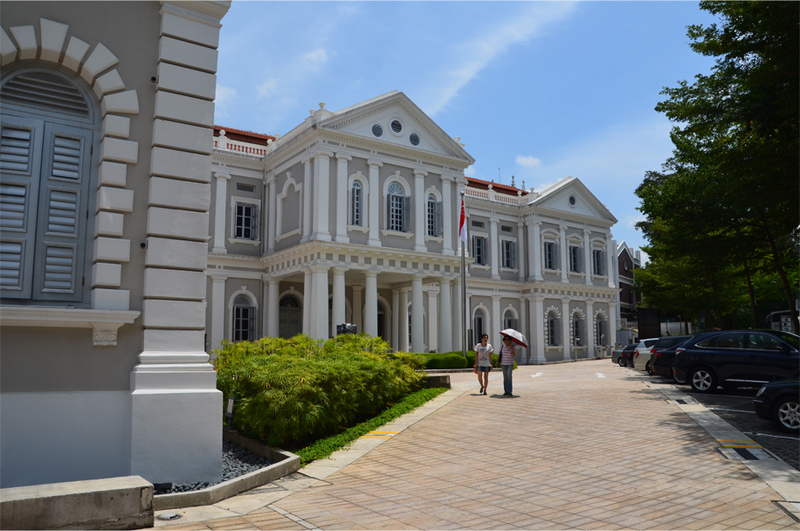 It is amazing how the histories of Indonesia, Malaysia and Singapore are closely intertwined. I wonder how things would have panned out without the effects of colonialism and the separation of the region into British and Dutch spheres of influence. Another remarkable read. You are doing history justice! I must admit, I am not a museum person. I don’t like to see things all nice and tidy and structured in a box or on a shelf. I’d rather see things in their natural habitats. Yeah, don’t like zoos either. Bird parks, fine…easier to see and it “appears” a natural habitat, perhaps is. However, both you and Bama have made me a believer. Perhaps next trip, I will take in a museum. Oh…caveat: I absolutely fell in love with the museum in Cairo–King Tut’s tomb and a gazillion years of history. Plus, it was not very clean and tidy, a disarray of stuff. More like a second-hand shop than a museum. You’re too kind, Badfish – I have to confess that I wrote this one in a bit of a hurry. But the quotes from Raffles and the Malay Annals gave it a lift. I’m a museum addict (could spend hours and hours in one) but yes, I see what you mean about the unnatural way history is packaged and presented. And the excitement of coming across a ruined temple in the jungle is almost always going to beat seeing a sculpture encased in glass. 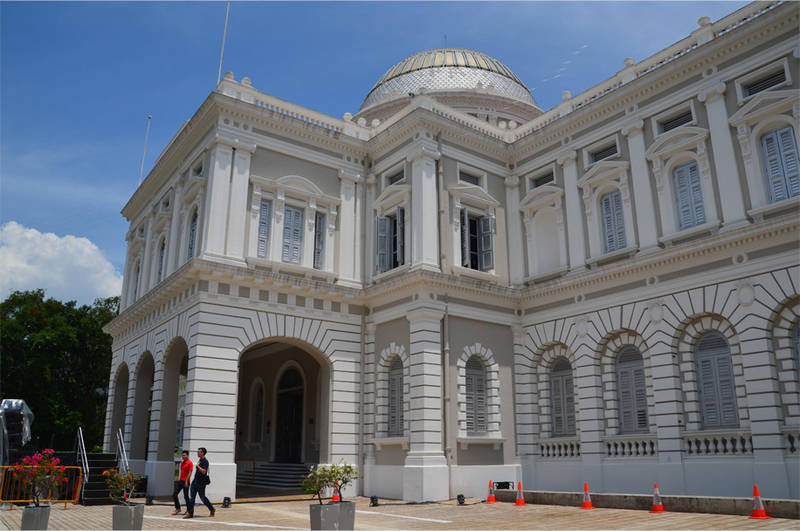 What made the National Museum in Singapore so great was not just the quality of its permanent exhibition, but also the fact that the places it described were within walking distance. The museum itself backed onto the hill and the river was not much further away. Your writing is straight forward and honest, and that’s what people like. Your style is interesting to read. The Louvre is building a museum in Abu Dhabi. And now, they have a display on Arabic textual artwork. I may have to go visit and make a post ala James and Bama–you two have inspired me to visit a museum! We managed to learn and understand how mankind built civilizations thousands of years ago, often down to the small details of what people used to do. But sometimes all we find is obscurity, as is the case with a chapter in Singapore’s long history. The Singapore Stone is a symbol of the importance of cultural heritage preservation, because sometimes what is lost and damaged cannot be simply regained and restored. Had Raffles been in Singapore at the time, he would easily have stopped the destruction of the giant rock inscription. I think you’re right – by blowing it to smithereens the colonial administration missed a golden opportunity to learn about Singapore’s ancient past. Thank you James for this fascinating read. I learn *so* much history through reading blogs such as yours. 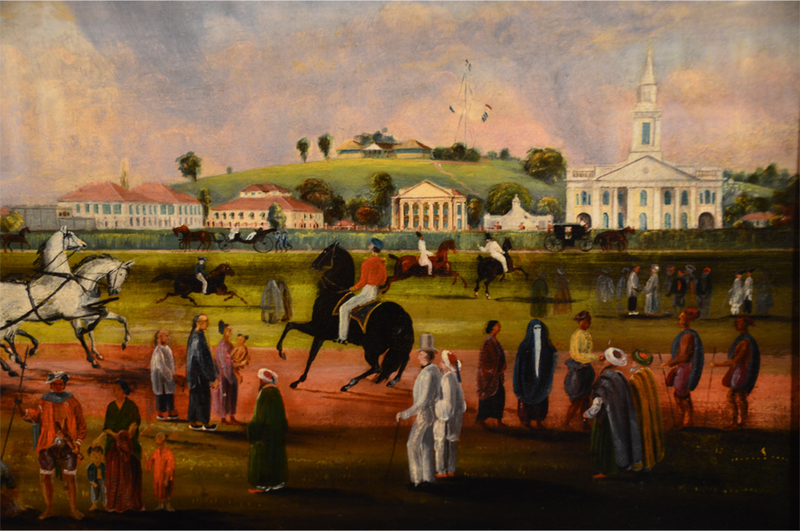 Also I love that painting “Multiculturism in early colonial Singapore. Gorgeous colour. It’s my pleasure, Alison. Thank you also for reading and commenting on a regular basis… I’ll admit that’s something I’m not very good at doing! The painting is so dreamy and soothing – it stood out from most of the other exhibits in the museum. You’re welcome, Winny. Maybe next time you should pay a visit – it’s a lot more interesting than people realise! It is distressing to think of how much historical data has been lost due to callous negligence. I knew what Singapore meant in Sanskrit, but I had no idea how the name came about. Thank you for filling in the gaps with this fascinating account. My interest in Singapore as a destination increases with every one of your insightful posts. Callous negligence is right, Madhu – I read that a surviving section of the rock inscription was eventually broken up for gravel. I think you would have loved the National Museum; it had a trove of old paintings, maps, and even gold jewellery dug up from the ‘Forbidden Hill’. Hello. Am vacationing in Singapore at the moment and the blog post added quite a bit more info to what I’ve received till now. Glad to hear it. I hope you have time to visit some of the historical museums – they are top-notch! Never had a chance to visit singapore until next month. Noted for these museum, i will pay a visit! Thanks, James! You’re welcome, Wira! I’m sure you will get some great photos from your trip. 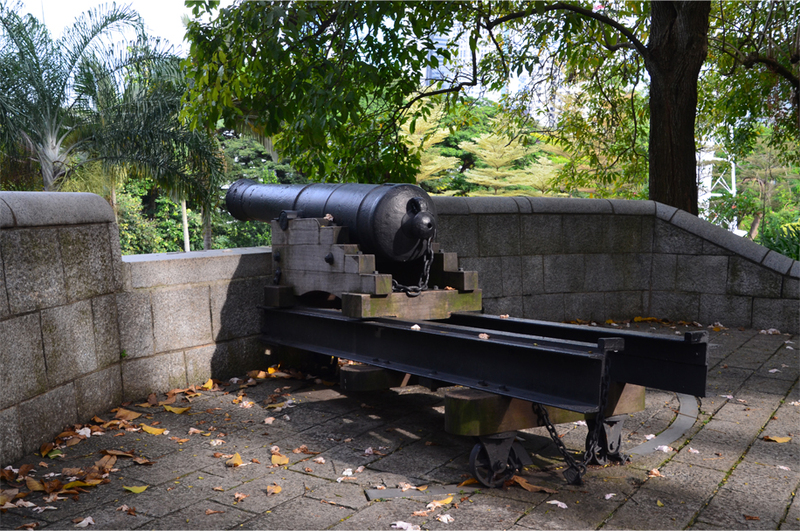 And make sure you spend some time walking around Fort Canning Hill. You are going to single-handedly boost tourism in Singapore! Every time you post on it, it moves farther up my travel wish list! Thanks for another informative read! Ha, I don’t know if that is possible! 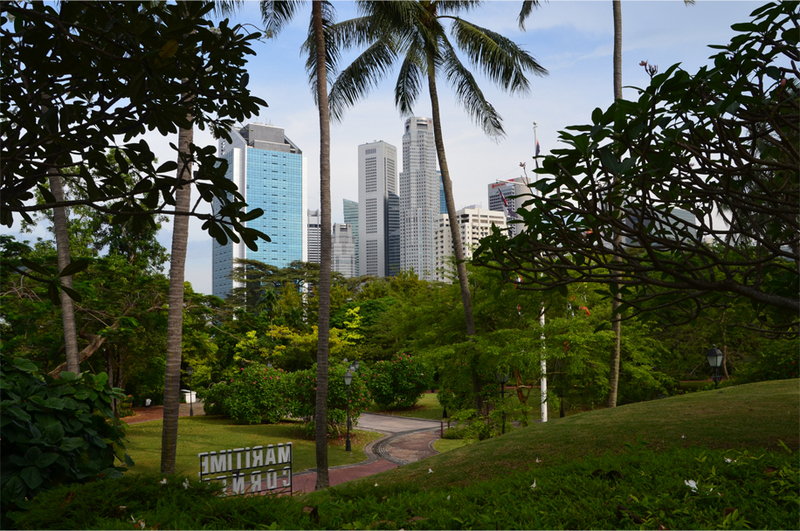 Singapore is a pretty fascinating place – all you need to do is go beyond its spotless exterior. It also helps that they’ve preserved so much of their heritage.